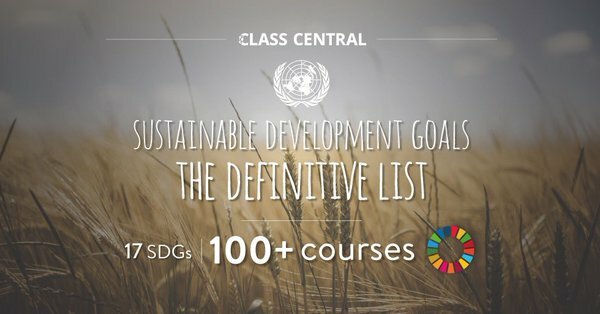 MOOC platform Class Central and the United Nations SDG Academy have compiled a list of Massive Open Online Courses (MOOCs) that contribute to the 17 Sustainable Development Goals that the UN has set for 2030. The list consists of over a hundred MOOCs from universities including Harvard, Stanford, Oxford, and MIT. Leyden Academy is represented with the MOOC Healthy Ageing in 6 Steps. Let your environment do the work, developed in cooperation with TU Delft and Copenhagen University, as part of the EIT Health Campus. According to the authors, this MOOC supports Sustainable Development Goal number 3: Ensure healthy lives and promote well-being for all ages. View the complete selection of courses here. Since the launch in December 2016, over 10,000 people from 152 countries have participated in the free online course Healthy Ageing in 6 Steps. In six modules, the MOOC teaches participants how to make healthier choices and smart adjustments to their lifestyles and environments, to enable them to live healthier, happier and longer lives. The MOOC is still available on learning platform edX.